Around 9000 fans of Phillip "Phizzurp" Klemenov, a professional Call of Duty player and streamer killed in a car accident last week, have gathered on Twitch to watch his funeral live and pay their respects. Set up on Phizzurp's own Twitch channel, a camera streamed almost the entire funeral so that friends and fans unable to attend or pay their respects in person could do so online. 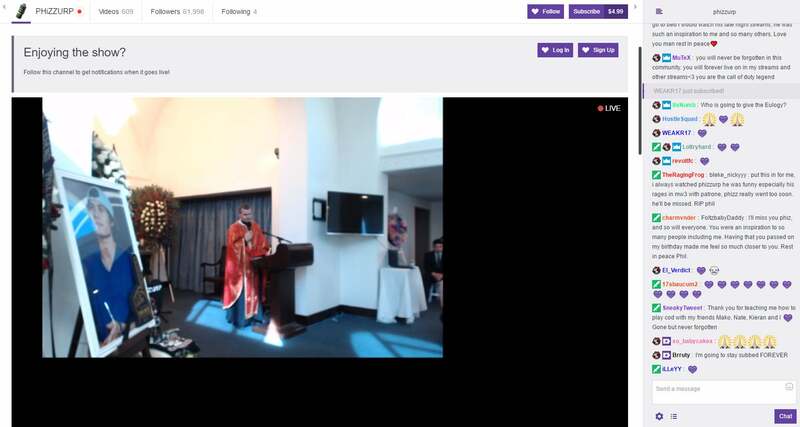 Twitch may not seem the ideal platform for this kind of event, given its chat system's reputation, but the sections I saw — and to be honest, I only saw a little because I was uncomfortable "peeking in" on the funeral of a person I did not know — were full of fans remembering the impact Klemenov had on their lives and leaving comments of genuine thanks and respect. Phizzurp was killed on October 2 when a car he was a passenger in crashed at speed in Colorado. He was 23 years old. 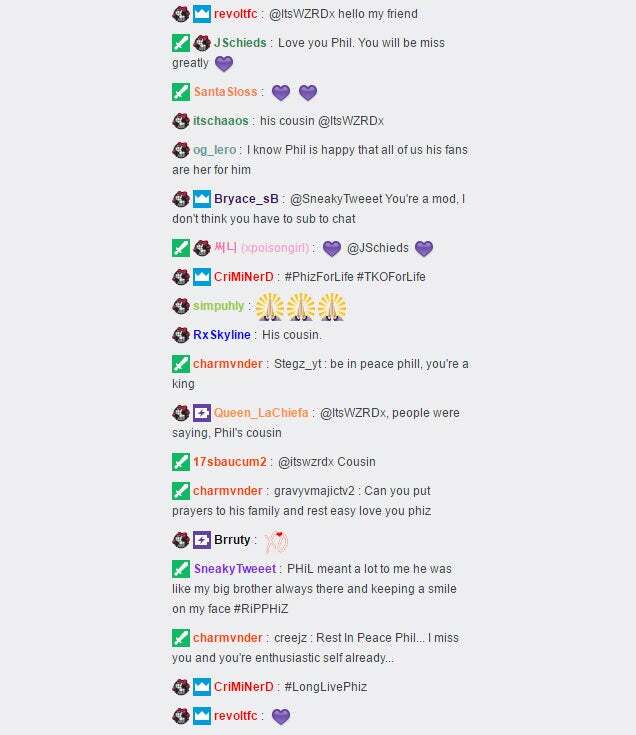 I found it touching they did this on twitch for his fans. The detractors are flat out wrong in this case criticising it. We're ok televising celebrities funerals etc, so why is this *any* different as Philip De Franco put it? This was a good way for them to honour his fans, his fans to pay their respects to him and for them to say one final goodbye to him. It's sad, but it's right. This is amazing - for a community known for its toxic nature this is a fantastic piece. Bravo to the community.